Can musicians do that? Actually, we do it everyday. As artists, our music inspires people to fight for what they believe in. To fall in love. To remember. To keep evolving. Musicians and composers have changed the world many times over. Future of Music Coalition empowers these change agents by helping artists tell their truth and stand together as a force for good. We represent an inclusive, diverse and resilient creative community that embraces change and won’t get fooled again. We’re winning the fight, one battle at a time. We’ve helped musicians understand their revenue flow. Demystified the policy process so artists can engage. Kept the Internet open for small business. Beat back the forces of corporate consolidation in the music industry and elsewhere. Defended creative speech at the highest levels. Stood for transparency and fought for fairness on behalf of all creators, and not just the one percent. No other group can say that. And we’re not done yet. Future of Music Coalition and our artist allies understand that change is inevitable. The difference is that we want change to equal progress. And not just for a handful of giant corporations whose business interests aren’t always aligned with artists or fans. We fight for musicians. We stand with fans. We are the Future of Music. 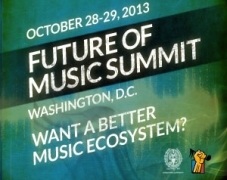 Future of Music Summit + FMC Honors! 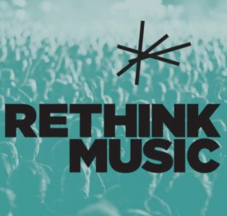 Future of Music Coalition is incredibly proud to present two unique events in the nation’s capital this October: the 12th Future of Music Summit and our inaugural FMC Honors celebration. Sometimes, the internet just seems like a bunch of yelling. Then you discover a new artist or make a connection with a fan and it all makes sense. And it’s not just online—if you’re lucky enough to have a great local radio station, then you know how powerful even old-school technology can be when it comes to falling in love with music all over again. Washington, DC— Future of Music Coalition (FMC) is thrilled to announce the inaugural Future of Music Coalition Honors, to be held Monday, October 28, 2013 at The Hamilton Live in Washington, DC. 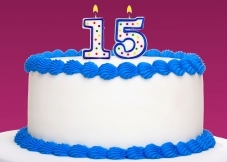 For thirteen years, FMC has worked to promote collaboration between artists and other stakeholders whose passion and dedication help shape the future of the music community. This one-of-a-kind event highlights three categories of leaders who have demonstrated consistent commitment to music and social change. 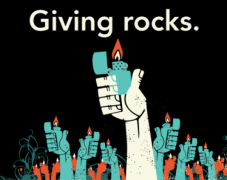 There's still time to make giving ROCK! It’s been an incredible year.